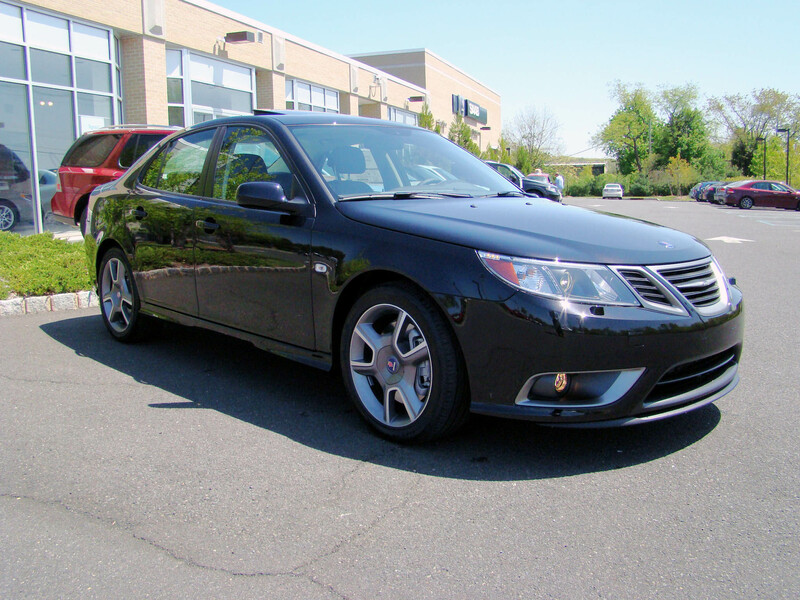 A Swede in New Jersey – 2008 Saab Turbo-X! A Swede in New Jersey: For my friends and family sick of my constant “Saab” story about my car not being here, finally the end is near. My dealer gave me the word that my dark Swede, a 2008 Saab Turbo-X, is here after many months of waiting (I ordered on day #1 last November). Now of course the only problem is that I’m away for a few days and you are getting as close to my car as me! Although I might just have to sneak out of my meeting to get a peek! Here’s a great shot of my ride sitting at my dealer – I can’t wait to get in this rig and kick up some pavement. Many thanks to Scot and Saab of Hunterdon. I’ll post s full review after I take possession and get some time behind the wheel. I’ll also post a few more pics and closeups. Scot took a bunch, but I”ve got a 12 mpel Cannon that will get some good details. I’ll also try to post an audio of the exhaust note.